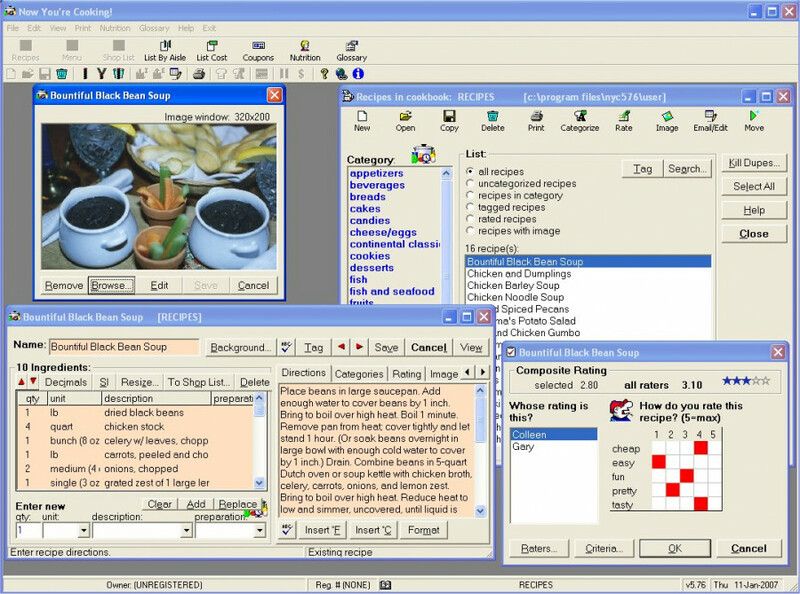 Award-winning cyberkitchen recipe and nutrition software for Windows 10/8/7/Vista/XP. Cuts hours off organizing recipes, meal plans, nutrition analysis, fitness calculations, shopping lists, grocery cost management. Recipe search, dupe checking, find-replace, meal planning, import/export across multiple cookbooks.